Chandail's Mystery Projects are those that are stitched in phases. Each phase includes a section of the canvas that has been stitched while the rest remains a mystery! As a section is completed it will be revealed and its stitch guide and kit will be mailed to you. 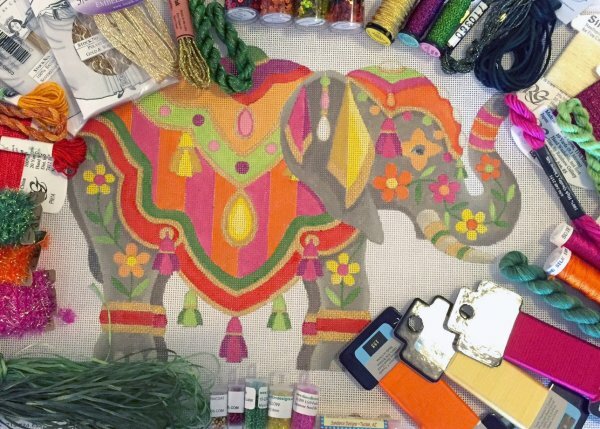 Enjoy stitching these projects in the comfort of your home. Chandail's Past Mystery Projects work just as mystery projects with phases and monthly kits; however, the piece has been fully revealed. They are available for sign-up at any time. 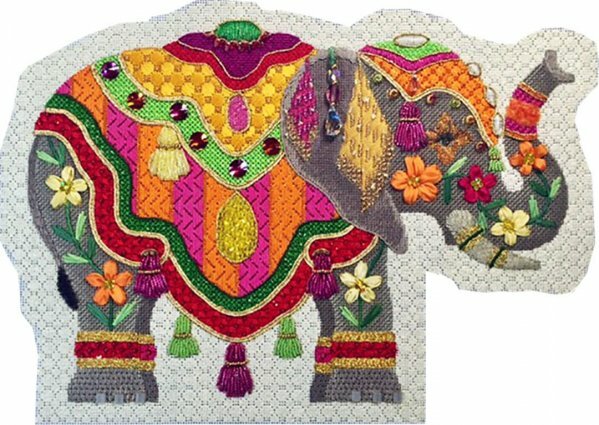 But note, we only have a limited number of the unique embellishments that go with the projects. It's not too late to sign-up! Very limited availability, so call soon. Our elegant Zachariah is filled with Swarovski crystals, beads, ribbons, unique threads, surprising techniques and beautiful stitches. Canvas Design by Raymond Crawford. Stitch Design and Guides by Cindy Howland. Each of the six kits reveal Zachariah's splendor and include an extensive stitch guide with photos to walk you through easily. Finish him like we have as a stand-up! 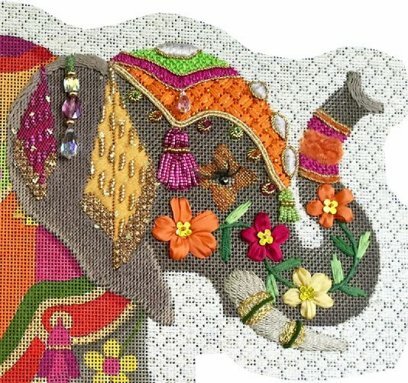 Final Reveal as shown in Needlepoint Now! Some of the threads and embellishments used for Zachariah! Current Mystery Project that is also available as a class! Stitched and taught by Saira Himelfarb. This ongoing Mystery class is also an at home Mystery project! 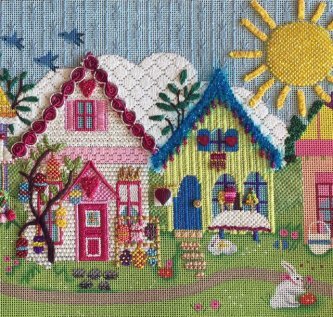 A delightful village scene is adorned with new and unique trims, beads and gorgeous patterns including a carrot darning background. Next class date: Posting soon! Six kits included in the class/project! It's not too late to sign-up but sign up soon! We have a very limited number of remaining kits. 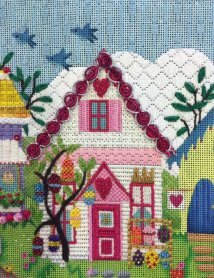 Stitch Interpretation by Kathy Kulesza and Guides by Cindy Howland. 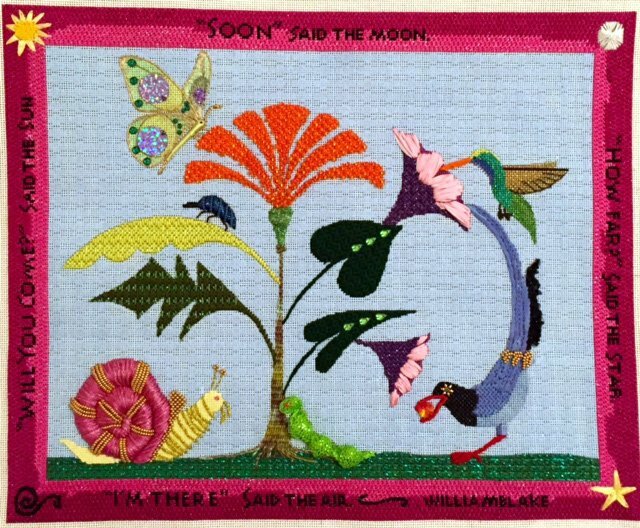 A garden of fantasy flowers, birds and bugs and a delightful poem by William Blake are incorporated in this stunning design. Fantastic patterns and techniques add dimension and life! Each of the six kits includes an extensive stitch guide with photos to walk you through easily. Wait as each kit unveils the next fantastic area! You will have plenty of time between kits to accomplish your masterpiece comfortably at home. Kit 1 includes the Snail, Grass and Sky. Discover the technique used to make the snail's exquisite shell. 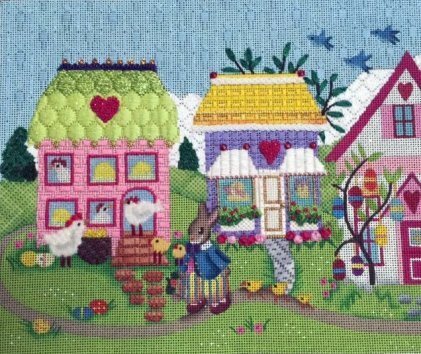 The background is subtle and easy to stitch while the grass incorporates a new pattern. Kit 2 includes the leaves on the left with gorgeous patterns and thread combinations, an adorable beaded bug, the perfect use of an over dyed thread for the trunk and it's curving roots and the fantastic raised base of the focal flower! 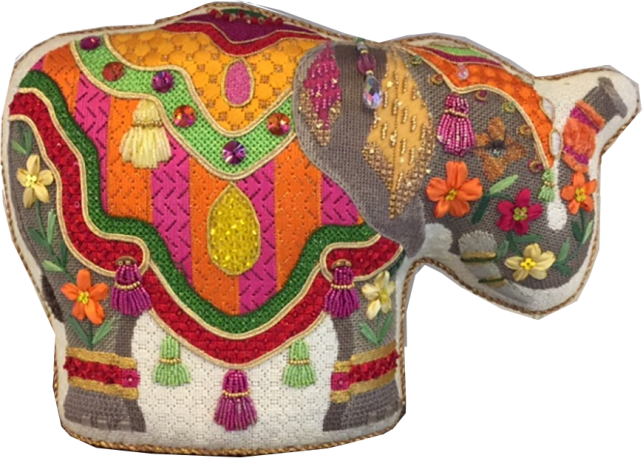 Kit 3 includes the beautifully stitched and embellished butterfly and the fantastic beaded focal flower! Kit 4 includes the amazing caterpillar, the leaves on the right filled with beautiful patterns and the flowers on the right. Each flower's petal is made of silk ribbon! Kit 5 includes the stunning birds on the right side! Both birds are stitched with lots of sparkle and make wonderful use of unique embellishments and fun techniques! 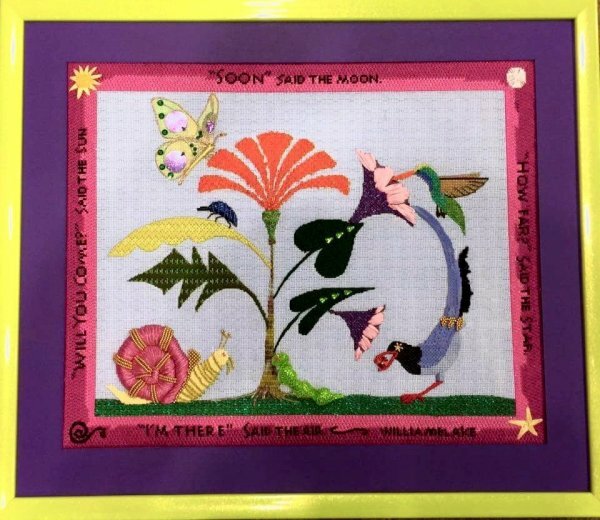 Kit 6 includes the border stitched with beautiful threads and includes the text, sun, moon, star and swirls. LIMITED SUPPLY of Special Embellishments.